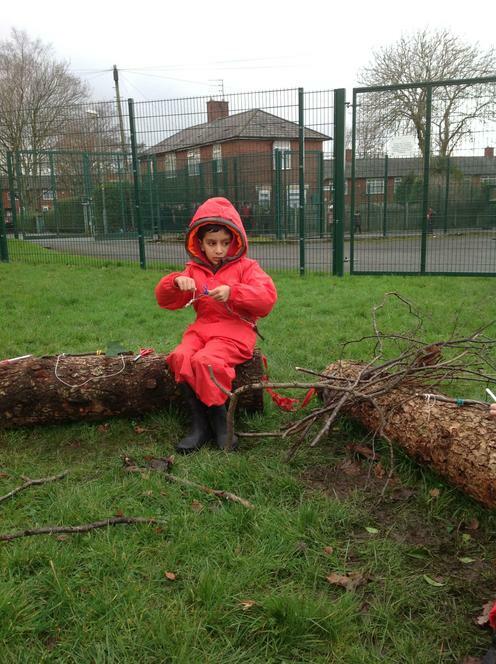 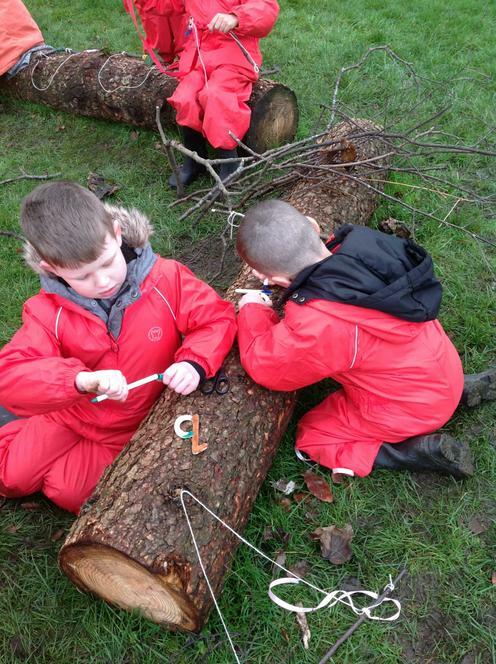 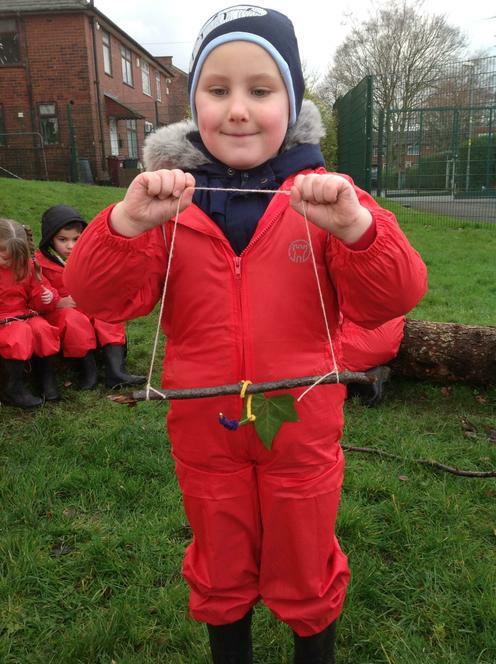 The learners all had the chance to explore and independently choose natural resources for their creation of a tree mobile. 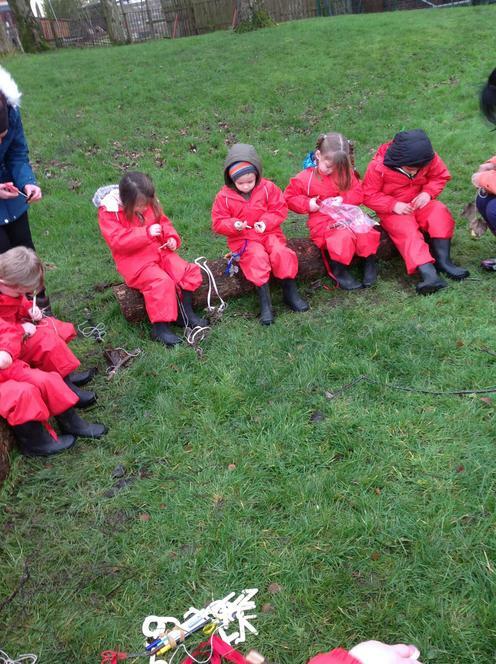 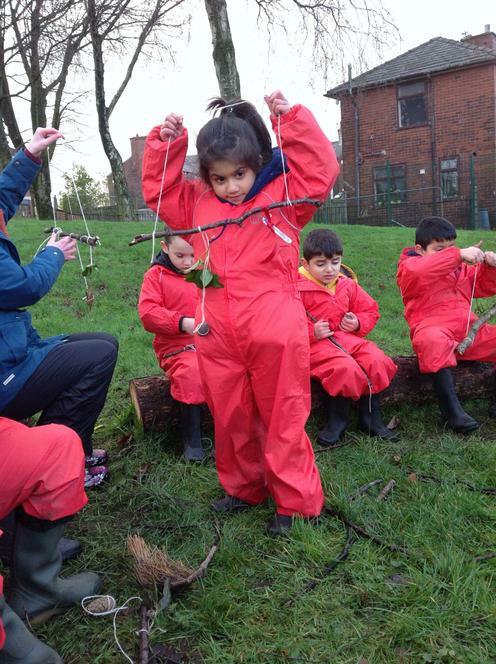 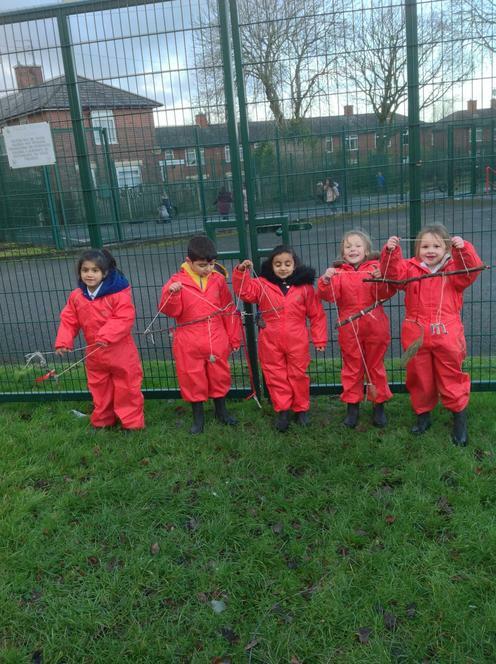 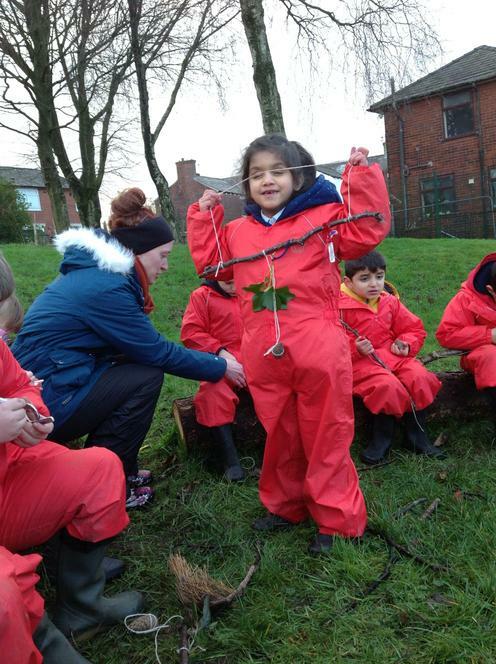 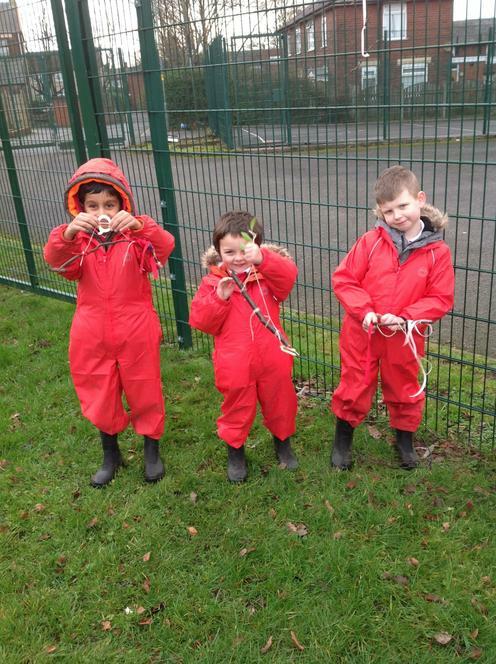 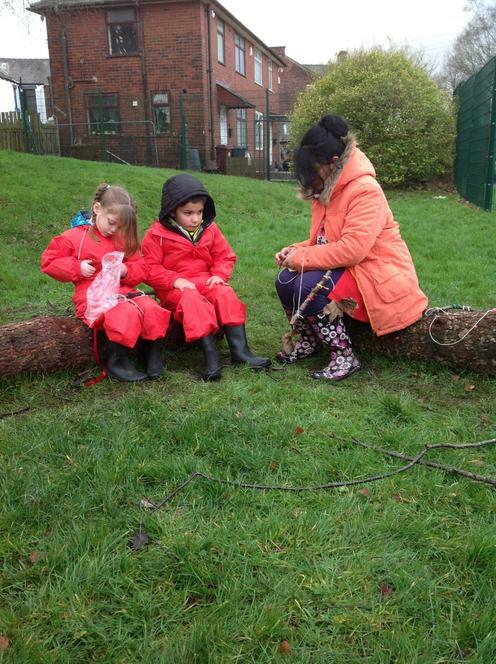 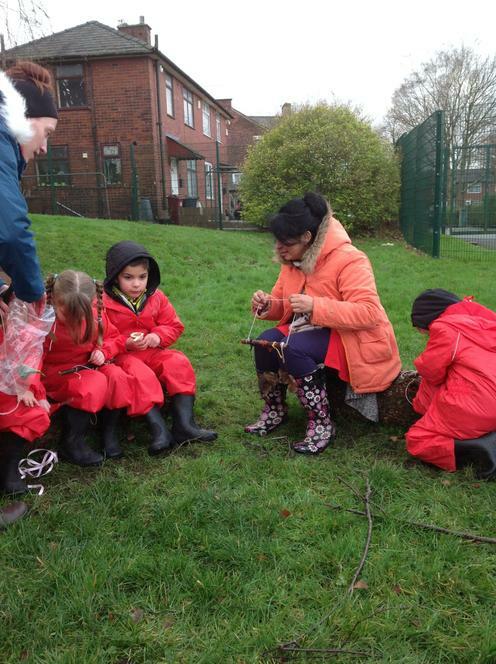 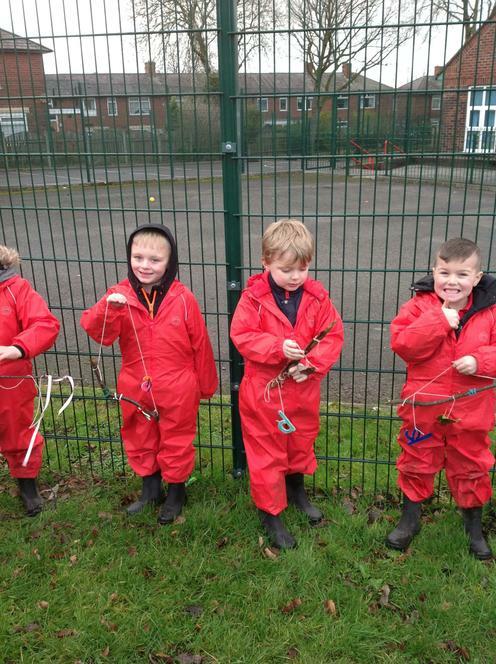 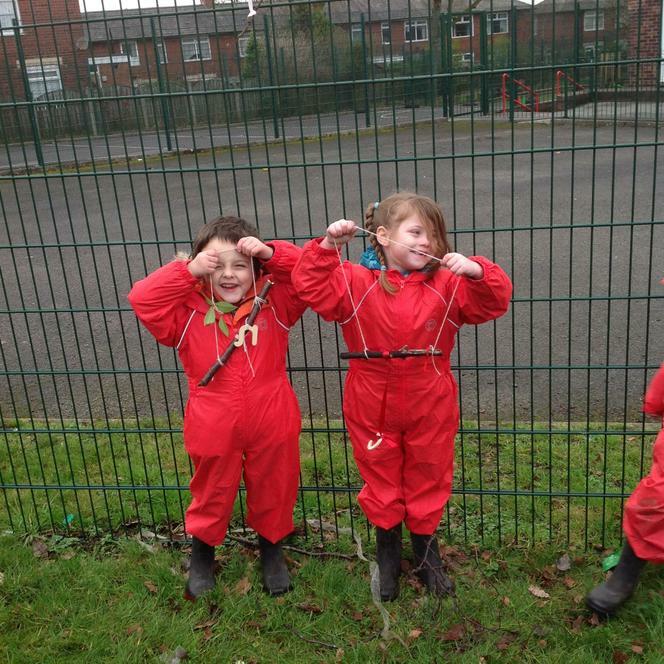 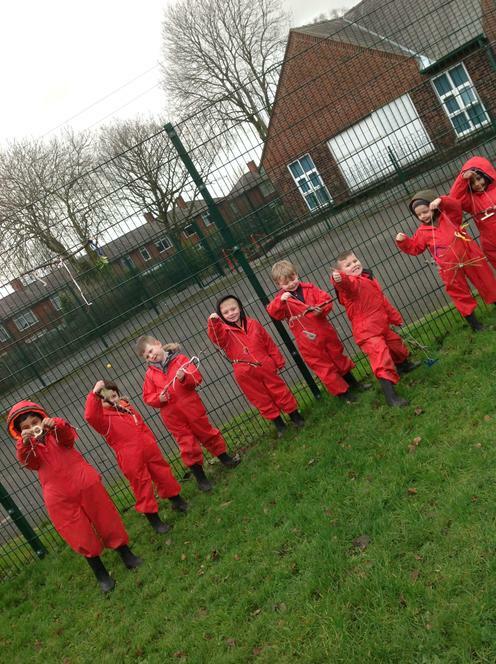 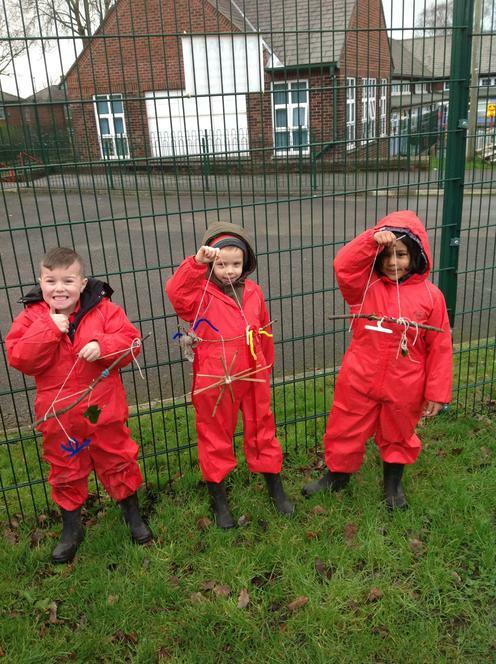 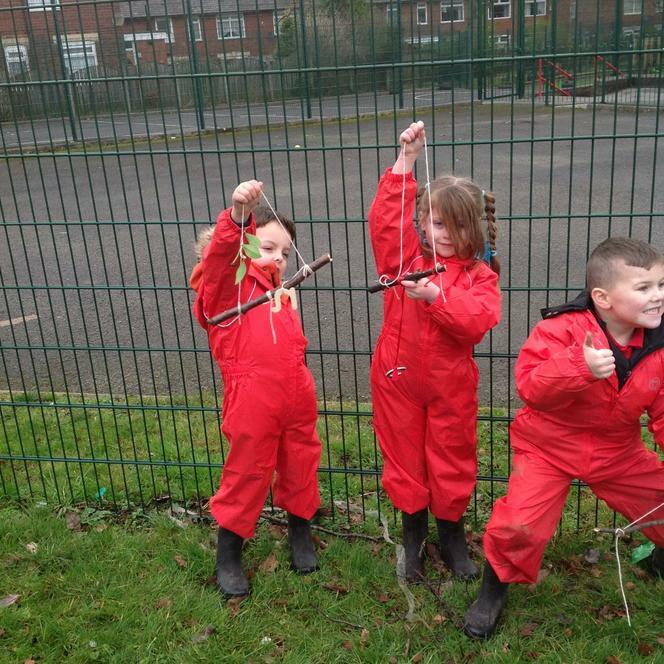 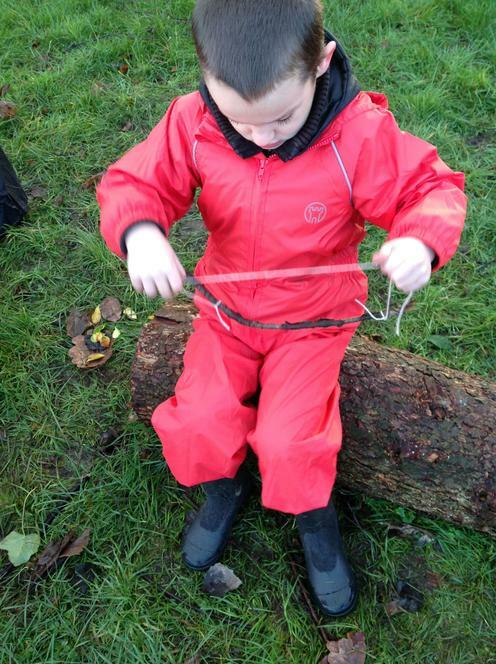 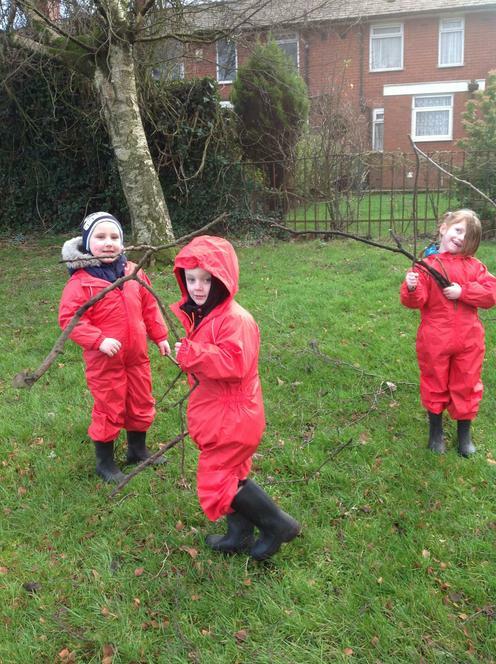 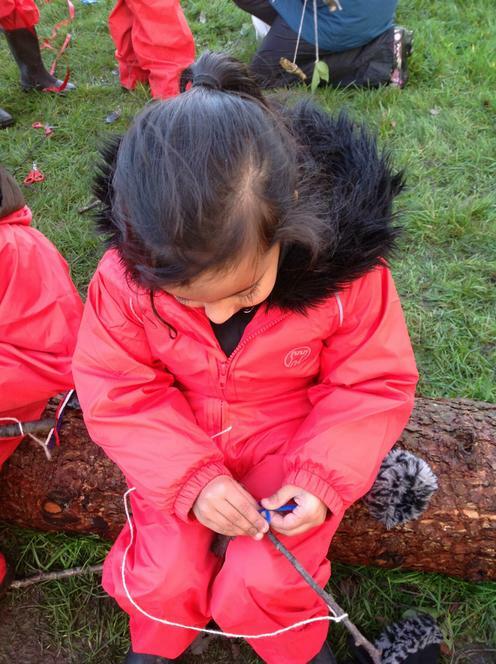 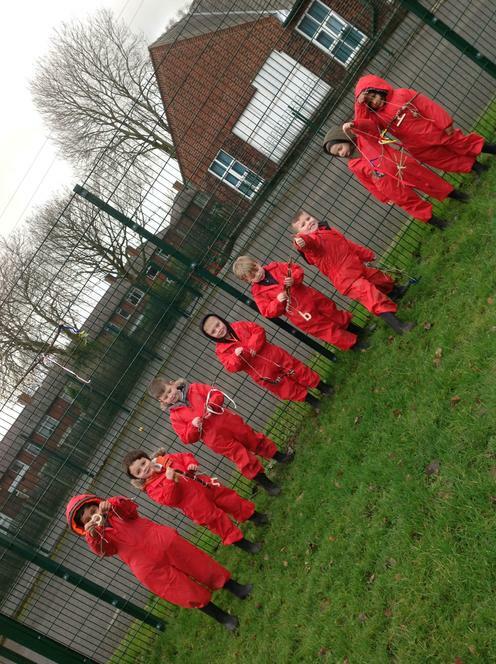 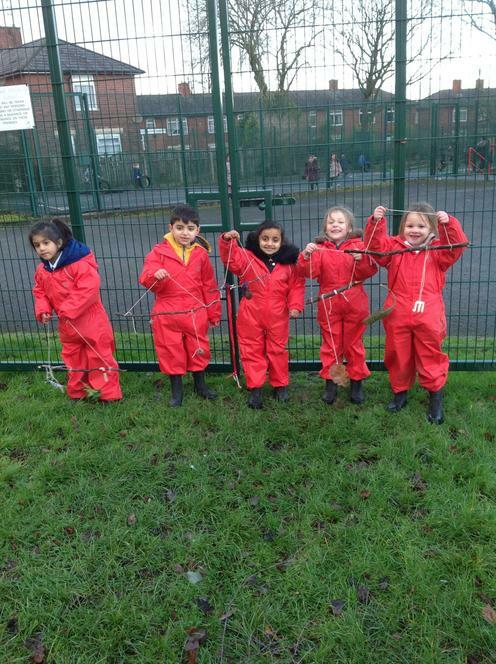 When we had chosen these we sat around our seating circle as a group and independently formed our own tree mobiles, using knots to tie resources together, all the year 1 children had a lot of resilience during this session! 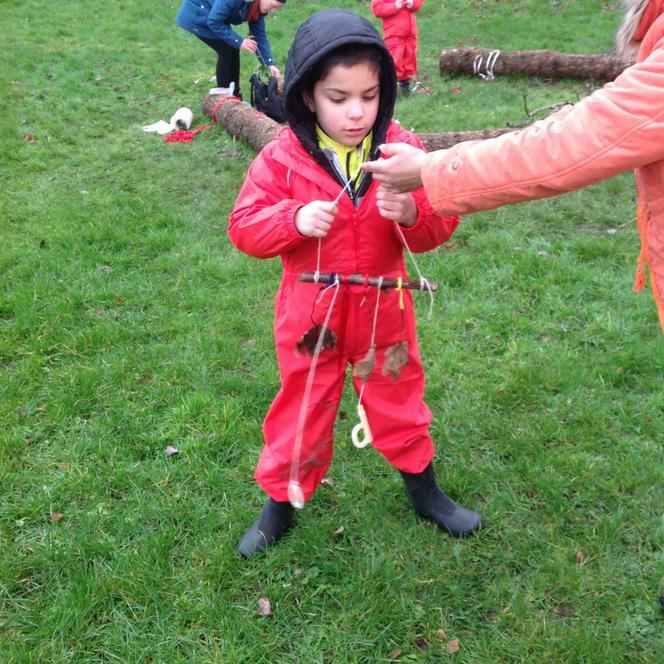 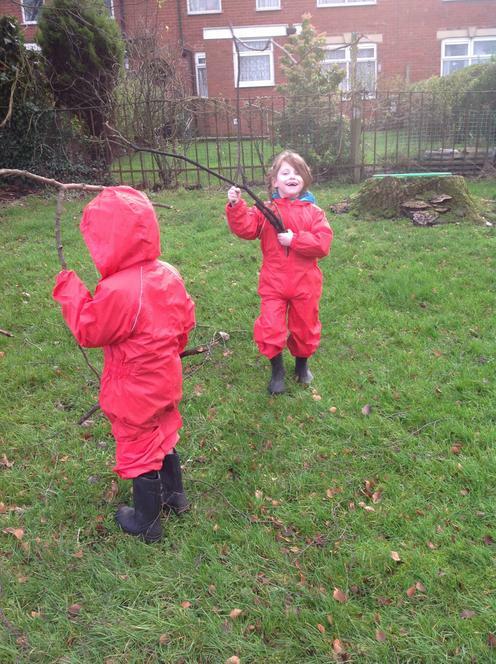 Our tree mobiles have given our Forest School site the decoration which it needed and we had lots of fun designing and creating these!